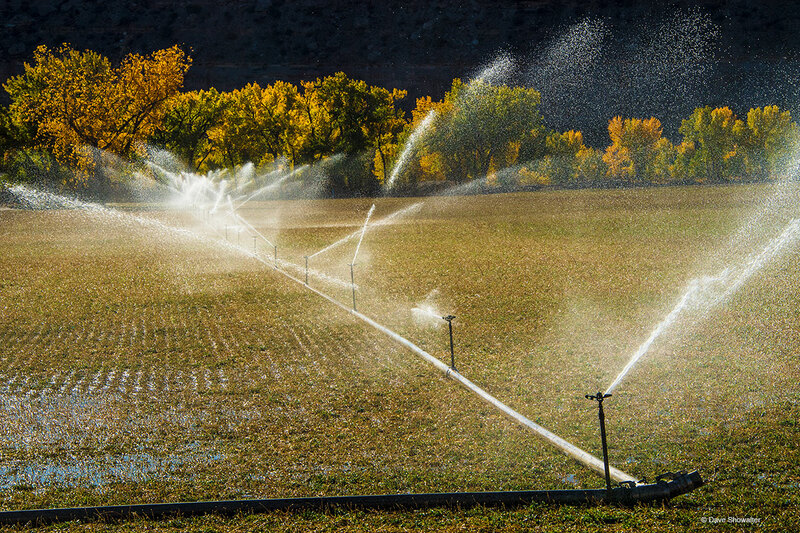 Agriculture is the top water user in the west - irrigating hay along the banks of the Colorado at Westwater, on the border with Utah. Golden cottonwoods line the river in autumn. Photo © copyright by Dave Showalter.